MSL Engineering Ltd. were first awarded the main mechanical contract for the New Production Building. Upon successful completion of this contract MSL were award the contracts for two further new buildings, an Admin Building and an R&D Building. All construction work was completed safely, incident free and on schedule. Workshop Fabrication: A total of 1,500 isometrics were logged, priority sequenced, engineered, fabricated, NDE approved, (PED approved where appropriate) and transported to site over a 40 week fabrication period. The workshop element consisted of fabrication of carbon steel, stainless steel and high purity pipe and tube ranging in sizes from 15mm to 200mm diameter. The weld fabrication consisted of approximately 25,000 weld inches. Modular Construction: The production building scope of work also included ten pipe rack modules. 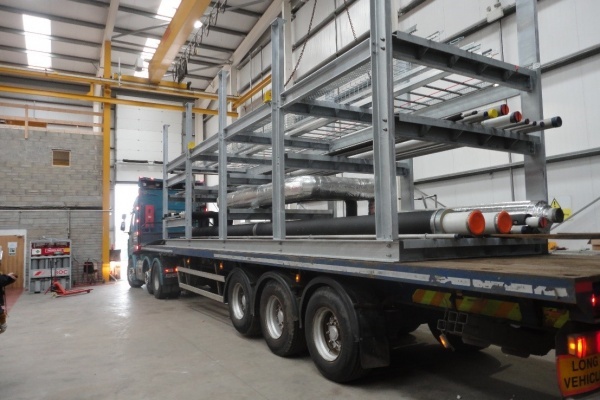 MSL Engineering Ltd. designed and 3D modelled the steelwork and pipework for these using BIM software prior to producing fabrication drawings, fabricating, assembling and shipping to site for installation by our site team. Workshop fabrication manpower peak: 15 men. Site Works: The onsite mechanical scope of works included the installation of ten pipe rack modules in addition to the installation, supporting, testing and commissioning of carbon steel, stainless steel, high purity, copper and plastic pipework, HVAC duct work and associated equipment, new process and clean room equipment. 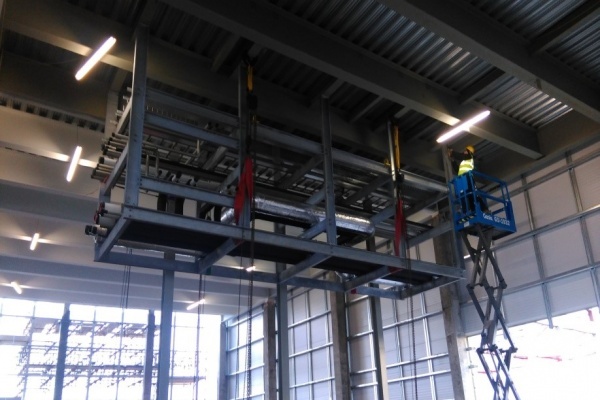 The cranage, scaffold access, NDE, painting, insulation and passivation associated with the piping and equipment were also part of MSL’s scope. Site Man Loading: Site manpower peak: 110 men.